If you’ve been told you’ll need a tooth extracted, you may feel there’s no “convenient” time to have it done. 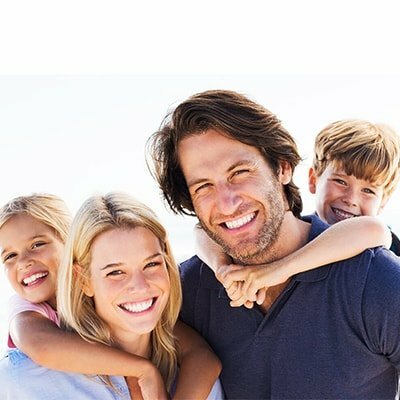 We all lead busy lives, and fitting a dental procedure into your busy schedule may be a challenge. For those who have a vacation or business trip coming up on the calendar, it could raise the question: Is flying after tooth extraction safe? 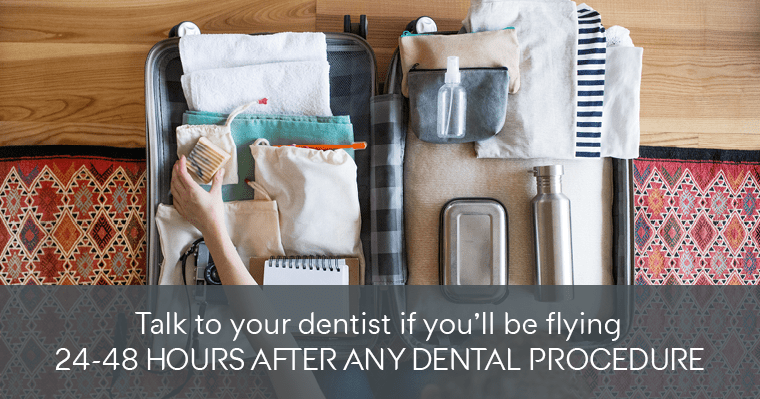 It normally takes a couple of days to recover after tooth extraction, so most dentists would recommend resting for at least 48 hours before flying. This enables you to get the rest you need to have a smooth recovery. While it’s technically safe to fly after most dental procedures, it may be especially uncomfortable to do so within the first 24-48 hours. It’s important to remember that flying can even cause minor pain and discomfort in healthy individuals who haven’t recently had dental work completed. Sinus pressure, headaches, and even toothaches can result from changes in altitude or cabin pressure. Any of these issues could be intensified for a person who has recently undergone tooth extraction. If your tooth extraction appointment is within 24-48 hours of your dental appointment, be sure to chat with your dentist about the risks involved and what he or she recommends to minimize discomfort. Pain medication: Pack your prescribed or over-the-counter pain medication recommended by your dentist. You may want to take it prior to boarding the plane to lessen discomfort. Extra gauze: If you choose to fly very soon after a procedure, you may still be in the window of time where you need to change your gauze periodically. A refillable water bottle: You’ll want to avoid hot, cold, and acidic beverages (like coffee or soda) after tooth extraction, so it’s a good idea to pack a refillable water bottle to keep yourself hydrated throughout your flight. An empty resealable bag for an ice pack: If you experience pain or swelling mid-flight, a resealable baggie can be turned into a handy ice pack – simply ask the flight attendant for some ice and hold against your cheek for ten-minute intervals. Your dental office’s phone number: Be sure to save your dentist’s phone number before traveling in case of unexpected pain, swelling, or other symptoms. 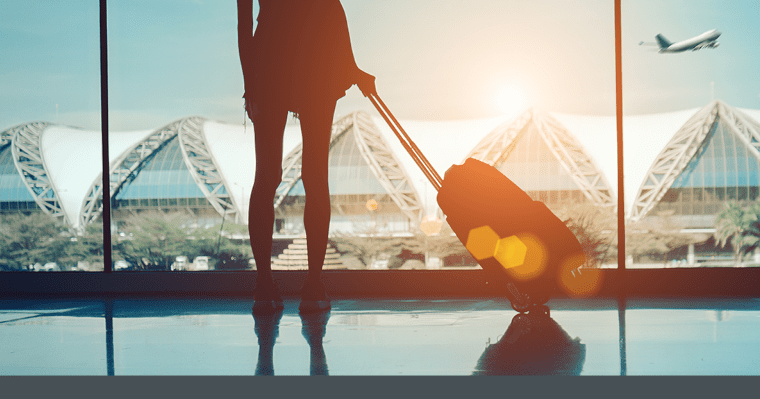 In addition to packing the necessities listed above, there are a few other things you can do to lessen discomfort if you’re flying after tooth extraction. The first is to try your best to have a stress-free flight. This can be a challenge since flying is stressful for most travelers! To help, bring along entertainment that will allow you to relax, whether it’s soothing music on your phone or your favorite movie on your tablet. Pack a light blanket and a travel pillow to help you get comfy in your seat. Depending on how soon you fly after your dental procedure, you may still need to stick to soft foods (no crunchy airplane snacks allowed!). At the airport, grab some soft, easy-to-eat options like yogurt, a smoothie, or soup. If possible, try to make sure a tooth extraction and a scheduled flight aren’t too close together on your schedule. As mentioned before, it’s generally safe to fly after most dental procedures, but it could be especially uncomfortable to do so too soon. After all, who wants to start a vacation out with a painful flying experience? Most importantly, talk to your dentist about your vacation plans so he or she can help you know what to expect and to be prepared! Do You Have Questions About CEREC® Technology? We Have The Answers! Exam & X-Rays for Only $27 - Call Us Today! This offer is not valid with insurance and cannot be combined with any other offer.